Instant Pot meals and recipes are all the rage these days, and using your Instant Pot for meal planning is a genius way of saving time, money, and energy in the kitchen. I finally just broke down and bought one myself. If you have invested in an Instant Pot or other pressure cooker for use in your kitchen, then you know how great it is to whip up a simple meal in minutes each night. They do have a bit of a learning curve, but the results are amazing! Many individuals are finding that a pressure cooker like the Instant Pot is ideal for meal planning. Not only does it cook fast and easily, it makes healthy meals even easier to manage. Since fast, easy, and healthy are the most common things people request in recipes, the idea of using a pressure cooker for preparing meals is ideal. They are not like your grandma’s pressure cooker meant only for canning vegetables from her garden or fresh fruit jams and jellies. While many versions still do this and more, the Instant Pot itself is all about creating fast and delicious meals to feed your family. I cannot say this enough. Your Instant Pot is unique depending on the model you have chosen. See the many different varieties of Instant Pots here. If you are using a pressure cooker and not the Instant Pot brand, that has even more unique characteristics. While they all operate in a similar manner, there are differences that can contribute to whether your meal turns out the way you think it should. Pay attention to liquid recommendations for different types of cooking. Use different attachments like steamers a few times alone before using along with other cooking methods. Do test runs in small batches to determine if you like the way the texture, flavors, and recipe comes together as a whole. Read the manual from your pressure cooker completely, even if you’ve used one that is similar before. Learn to adjust liquids on traditional recipes. This is probably the biggest issue people have when using an Instant Pot for meal planning on a regular basis. You can’t just toss ingredients into your Instant Pot and expect the same result you had if you cooked it on the stove top or even in a slow cooker or oven. The liquid variations are vital to how the pressure cooking system works. You absolutely must follow guidelines set out by your particular versions manual. Once you learn more about how it works, and actually cook with it regularly you will be able to create your own recipes for the Instant Pot much easier. It just takes a little bit of practice to make the best Instant Pot Meals. Understand there will be differences in appearance and flavor with Instant Pot Meals. If you are used to browning and searing meats, you’ll immediately notice that while you can get some color on items cooked in your Instant Pot, it will never be the same as if you cook on your stove top or in your oven. Some recipes will recommend you remove from the Instant Pot and put into a dish to put in the oven and broil for a few minutes. Others will have you use the saute function on the Instant Pot. Using only one pot and having it done in minutes is the appeal, so, if the color of your food or the crunchy coating are a must, then understand you may have to accomplish this by removing the items from your pressure cooker and finishing them on your stove or in your oven. Otherwise, the food will be cooked through and taste great, it just won’t have the same appearance. You may also notice that flavor won’t always be as strong on marinades or seasonings as you expect. The addition of liquid to your Instant Pot often means it is a little less strong in flavor. I, personally, find that creating things like beef or chicken dishes in freezer packets that include the marinade in advance help tremendously. This allows those flavors to soak into the meat for a much longer time, and as they thaw the day I plan to cook them, they increase the flavor even more. You will find that you may need to bump flavors up a bit to get a more distinctive flavor profile, but this also varies depending on the meal you are creating in your Instant Pot. I have been collecting all kinds of Instant Pot Recipes here. Let me know in the comments your favorite Insatnt Pot recipe. I am looking for new recipes to try myself. Additionally, you may to purchase some extra sealing rings and use one for sweet food and another for savoury food. This prevents the odors from transferring among your favorite foods. If you cook a few thing in a row, you might also want an extra inner pot. Having a secondary inner pot makes it most convenient in preparing multiple types of food with your Instant Pot. If you plan to use your instant pot as a slow cooker, you may also want a glass lid for your instant pot so you can check on the food while it is cooking. For those that want to take meal planning with their Instant Pot a step further, you can take your recipes and create freezer packets so you have several meals ready to drop into the Instant Pot at any time. Freezer meals are a common idea in meal planning, and they work great with the Instant Pot. The only consideration would be the amount of liquid included, so you may need to adjust slightly for the right flavor and combination for your Instant Pot. Creating recipes and freezing them raw to be thawed and thrown into your Instant Pot when you get home after a busy day, takes even more time out of your evening meal preparation. One big issue with regularly making Instant Pot meals is that you can’t just grab a second one to cook tomorrow night’s meal in if you haven’t done dishes. They are a bit too expensive for most to have more than one in their house. That said, you should always remove the food right away and soak to clean immediately. This will keep food from sticking or drying on, and give you the chance to easily rinse off and use the next night. This is, one of the most important thing for me to do after I use my Instant Pot. If I don’t clean it right away, and it isn’t ready for the next meal, I am much more likely to go off budget and grab take-out on the way home. Meal planning with Instant Pot recipes is one of the latest and greatest ideas for meal planning. Not only does it make a huge difference in the time you spend in the kitchen, it can easily help you stay within your grocery budget. 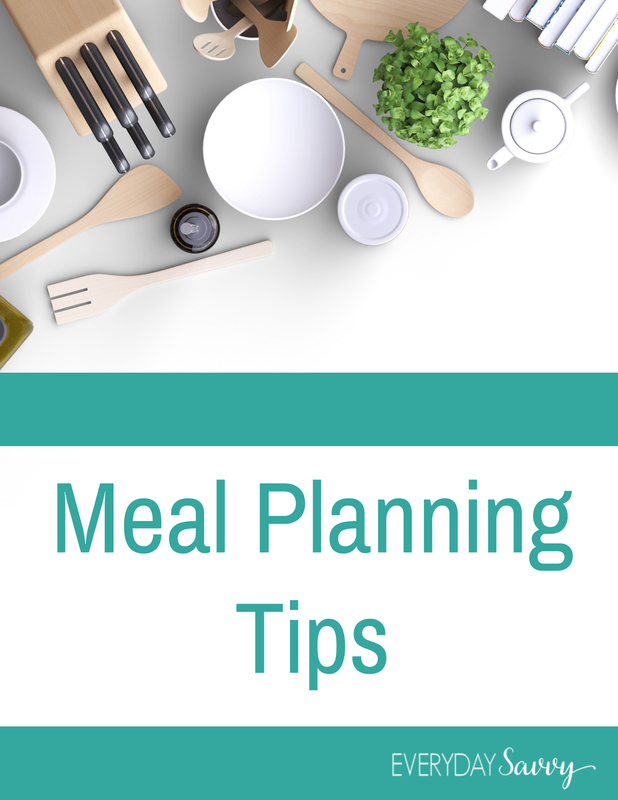 More Meal Planning Tips Here. Aren’t these Instant Pots wonderful? I’d never heard of them until I saw a web page on Black Friday saying they were on sale at Amazon, so I clicked the link only to discover they don’t ship to Canada. So I headed to Amazon Canada and saw they were on sale there too. I thought about it all day and put my order in around 8pm. Good thing too cause the price went back up on Saturday. I was out on Sunday morning and when I came home the package from Amazon was on my porch. Wow fast delivery unheard of from Canada Post who normally don’t work weekends! I was thinking it was time to buy a new rice cooker and a new crock pot. The Instant Pot was in the same range as the rice cookers I was looking at, so I figured why not. I’ve made brown rice several times and pinto beans and kidney beans a few times (not at the same time!). I make soup in the Instant Pot at least once a week. I put 4 cups water in, a couple teaspoons vegetable stock powder, a handful of barley, and a few handfuls of frozen vegetables, push the soup button and its lunch in about 45 minutes. So easy and faster than crock pot soup. Thanks for the tips! Great tip on the soup. I need to make some soup in mine soon. Thanks! I make popcorn for the week for my 10yr old to take to school for snack time. I’ve been wanting to try to make yogurt and cheesecake! I like that you can make things in there fast. While doing the 365 Cleaning and Organizing I got rid of my rice cooker and crockpot. Holly – Great tip on making popcorn. I don’t have the glass lid yet but now I plan to get it and make popcorn too.